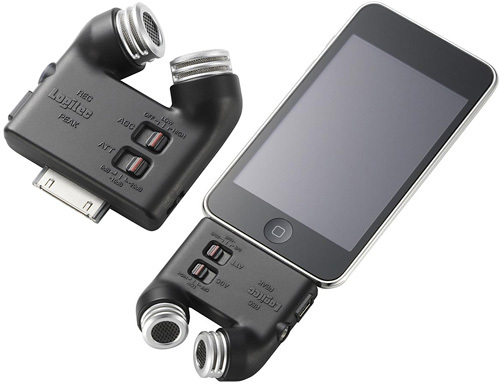 Logitec LIC-iREC03P Stereo Microphone for iPod/iPhone | OhGizmo! By Andrew Liszewski on 09/08/09 • Leave a comment! So it might not be from the Logitech we all know and love, but this “professional audio recording” accessory for your iPod or iPhone includes an X-Y style microphone that should improve the quality of your captures if it works as promised. Audio is recorded in the uncompressed WAV format, and the lovingly named LIC-iREC03P module includes switches for enabling automatic gain control and adjusting the attenuation. ~$117 from Geek Stuff 4 U.